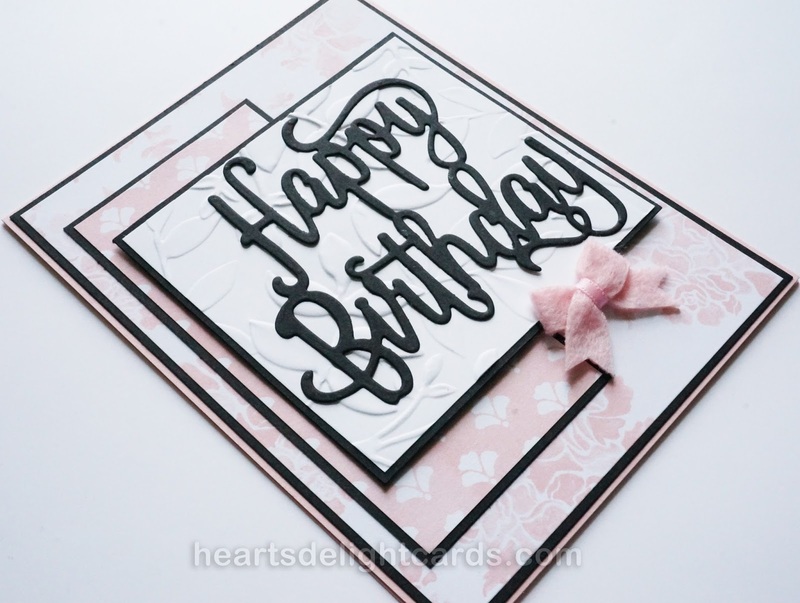 Heart's Delight Cards: Happy Birthday, Quick & Cute! This is one of the cards we made in yesterday's stamp club. The Powder Pink in the Fresh Florals DSP is so pretty! 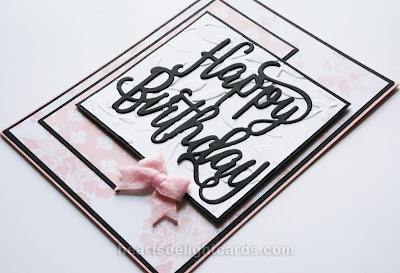 Did you notice there is NO STAMPING on this card?! 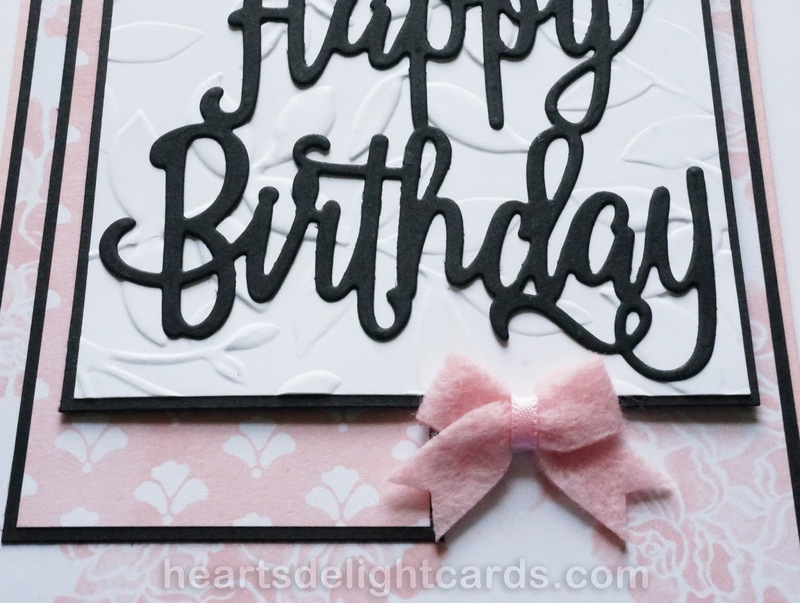 We used the new Happy Birthday Thinlits in place of a stamped greeting. 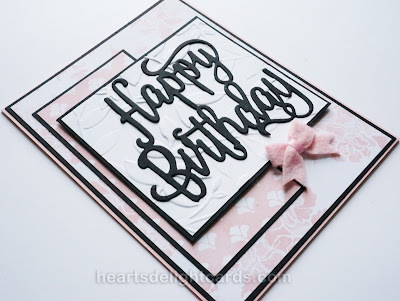 If you look closely, you can see the Layered Leaves embossing behind the greeting. It's really lovely in real life! You can see more of it on this card. And check out the In Color Bitty Bow! They are so stinkin' cute, and come already tied (for you bow-challenged people; you know who you are, lol) with an adhesive dot on back..... ready to use! 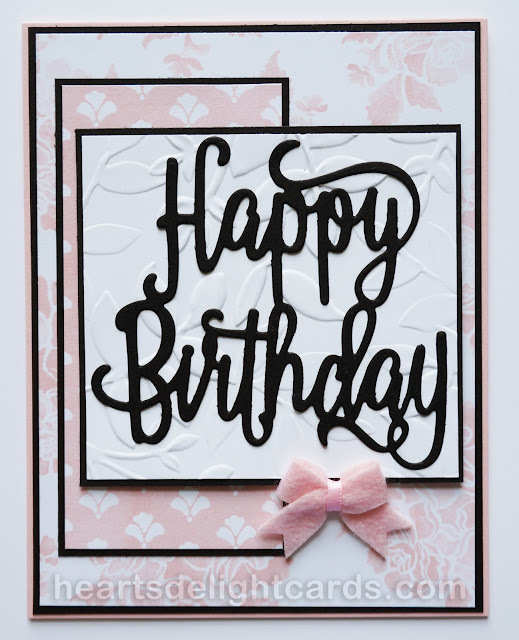 Greeting: Basic Black 3-1/2" x 3-1/2"
Embossed background: Whisper White 3-1/8" x 3-3/8"
Mat: Basic Black 3-1/4" x 3-1/2"
DSP: Fresh Florals 2" x 4-1/4" and 4" x 5-1/4"
Mats: Basic Black 2-1/8" x 4-3/8" and 4-1/8" x 5-3/8"
Card base: Powder Pink 4-1/4" X 11" scored & folded at 5-1/2"
Adhere DSP to their mats and then to card base. Emboss Whisper White with Layered Leaves Dynamic TIEF and adhere to mat. Attach to card base with dimensionals. 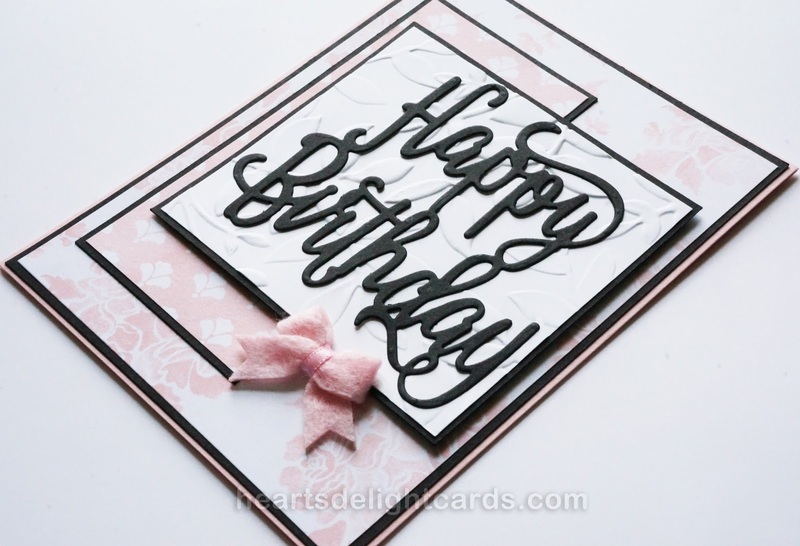 Die cut Happy Birthday from Basic Black and adhere with little dots of liquid glue to embossed background. 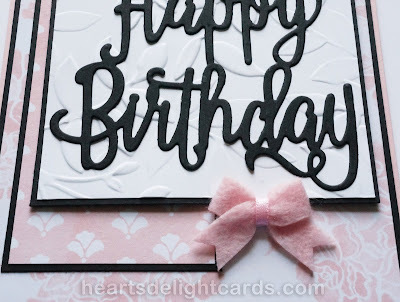 And that's all there is to a quick, cute card!